If you or your child needs braces, top orthodontist Ibrahim Y. Alhussain, DMD, and Reem I. Alhussain, DDS, can offer you a wide array of choices at Tysons West Orthodontics & Children's Dentistry in Vienna, Virginia. Choose from traditional metal braces, custom-bracket braces, Damon™ Smile tie-free braces, Invisalign® clear aligners, and more. To give your child a great smile or get the one you’ve always wanted, book an appointment online or over the phone today. 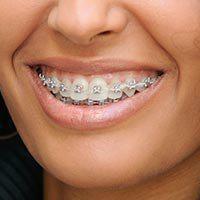 Traditional metal braces have metal brackets and wires, but they're lighter and smaller than they once were. This can make metal braces much more comfortable than they were decades ago. Your orthodontist uses Damon™ Smile self-ligating braces, which have a special slide mechanism that controls the archwire, eliminating the need for elastic bands. Self-ligating braces put less pressure on your teeth than traditional braces with elastics do, and this can make for a more comfortable experience. Additionally, self-ligating braces need tightening less often than traditional braces do, which may mean less time at the orthodontist. Ceramic braces are sometimes called clear braces because the brackets are transparent. Wires for ceramic braces are often tooth-colored, so they're not obvious. 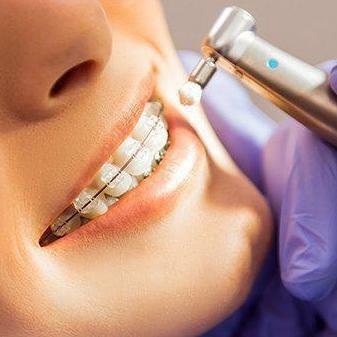 The brackets are larger than those of traditional metal braces or self-ligating braces. Ceramic braces are usually put on the upper and not lower teeth because the ceramic material is more vulnerable to damage. Your orthodontist uses Incognito™ lingual metal braces. These braces are placed behind your teeth, so no one sees them. Your orthodontist creates molds of your mouth, and a dental lab then uses computer technology to make individual metal brackets, each custom-made for the back of your teeth. While they can’t be seen from the front, Incognito braces do require extra time when it comes to oral hygiene because they're more difficult to clean properly. Invisalign® is a teeth-straightening system that uses transparent plastic aligners to gradually shift your teeth. 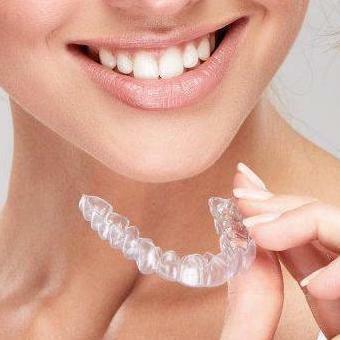 You replace your aligners every 1-2 weeks with a new set of aligners that are slightly adjusted. Each new set moves your teeth into the correct position a little at a time. Treatment time is often shorter than that of traditional metal braces. The amount of time you will need to wear braces will depend on your teeth-straightening plan. 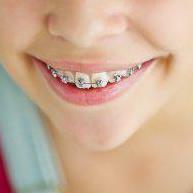 Most patients wear braces for 6-30 months, with 22 months being the average. 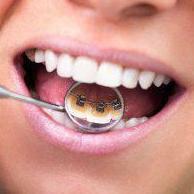 Your orthodontist will help you select the braces that fit your needs. To give your child a wonderful smile or to get one yourself, book an appointment online or over the phone with Tysons West Orthodontics & Children's Dentistry today.